The CEO of Acumen discusses her morning routine and the poets that inspire her. JN: I don’t. Need a better system. Feel too owned by it right now. JN: Email. Or call a good friend. Reading this reminds me that I should instead read poetry. Or write. Jacqueline is the founder and CEO of Acumen. 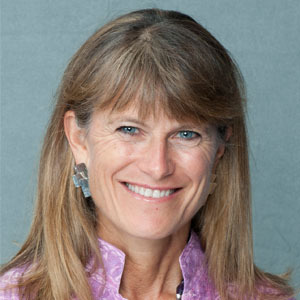 Prior to Acumen, Jacqueline founded and directed The Philanthropy Workshop and The Next Generation Leadership programs at the Rockefeller Foundation. She also co-founded Duterimbere, a micro-finance institution in Rwanda. She began her career in international banking with Chase Manhattan Bank. Jacqueline currently sits on the advisory boards of Sonen Capital and the Harvard Business School Social Enterprise Initiative. She also serves on the Aspen Institute Board of Trustees and the board of IDEO.org, and is a member of the Council on Foreign Relations, World Economic Forum and the American Academy of Arts & Sciences. Jacqueline was recently awarded the Forbes 400 Lifetime Achievement Award for Social Entrepreneurship.